Adam C. Linkhorst, Esquire | Linkhorst & Hockin, P.A. Adam C. Linkhorst, Esquire, is the managing partner of Linkhorst & Hockin, P.A. He was among the first class of attorneys in the State of Florida to become Board Certified by the Florida Bar in the area of Construction Law in 2005, when that specialty area first became recognized by the Florida Bar. He maintains an AV Preeminent Rating pursuant to the Martindale-Hubbell rating system. He has focused his practice on construction law since being admitted to the Florida Bar in 1995. Mr. Linkhorst has represented various parties in construction issues, including public, commercial and residential owners, general contractors, subcontractors, design professionals, material suppliers, equipment rental companies and sureties in all types of disputes, including bid protests, construction lien foreclosure and defect actions, payment and performance bond claims, contract disputes and all other areas of construction litigation, arbitration and mediation. In addition, Mr. Linkhorst has significant experience in the transactional area of construction law and has drafted, reviewed and negotiated numerous construction contracts for both public and private projects. Mr. Linkhorst received a Bachelor of Arts degree in economics from The State University of New York at Albany in 1991 and a Juris Doctorate degree from Nova Southeastern University in 1995. He is admitted to practice before all state courts in Florida as well as the United States District Courts for the Southern, Middle and Northern Districts of Florida, the United States Circuit Court of Appeals for the Fourth, Eleventh and Federal Circuits and the United States Court for Federal Claims. In law school, Mr. Linkhorst was a member of the Nova Law Review and Moot Court Society and also served as Chief Justice of the Honor Court. Mr. Linkhorst previously served as the chairperson of the Broward County Bar Association Construction Law Committee and has lectured for the Florida Bar, Florida International University’s Construction Management Program, the Broward County Bar Association, and various Continuing Legal Education providers and trade organizations on construction law topics. Mr. Linkhorst is actively involved with several construction industry trade organizations including: the Associated General Contractors of America (AGC) (Florida East Coast Chapter – board member and general counsel), Associated Builders and Contractors Association (ABC) American Bar Association Forum on the Construction Industry, Construction Law subcommittee of the Florida Bar Real Property Probate & Trust Law Section, Underground Contractors Association of South Florida (UCA), Engineering Contractors Association of South Florida (ECA), Construction Financial Management Association (CFMA) (past board member of the South Florida Chapter), Construction Association of South Florida (CASF), Florida Transportation Builders Association (FTBA), and Florida Surety Association (FSA). In 2009, Chambers and Partners (international attorney rating service) stated that: “Adam Linkhorst has set up a remarkable construction practice with Linkhorst & Hockin in Palm Beach. 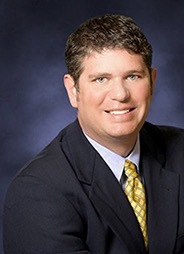 Appreciated for his dynamism and his ability to reach favorable settlements for his clients, he is one of the most promising lawyers in Florida.” Mr. Linkhorst was identified as a Super Lawyer for 2009 by SuperLawyers.com. Mr. Linkhorst was honored by the Palm Beach County Legal Aid Society by being awarded the 2009 Construction Law Pro Bono Award for Palm Beach County. This honor was bestowed on Mr. Linkhorst during the Legal Aid Society’s Annual Dinner, which was attended by over 700 people. The Award was given to recognize Mr. Linkhorst and Linkhorst & Hockin, P.A.’s volunteer representation of a severely disabled client whose home was subject of a foreclosure action by a contractor who had performed shoddy work. Mr. Linkhorst is on the board of directors of Construction Angels, a foundation whose goal is to be a first responder to families who have lost a loved one who was working on a construction jobsite. Construction Angels supports the surviving family members when such an incident occurs and facilitates aid during their time of immediate need. Mr. Linkhorst is on the board of directors of Reconstructing Lives, a foundation dedicated to seeking out individuals from the construction industry who have been dealt a hand that has created unexpected needs in their home – needs which they are incapable of meeting on their own. Whether a tragic accident has left the individual wheelchair bound, a natural disaster has devastated their home or an illness has created a specialized need. Reconstructing Lives and its partners are devoted to making the life transition easier. Mr. Linkhorst is on the Board of Directors of ACE Mentorship of Palm Beach and Martin Counties. ACE stands for Architecture, Construction and Engineering and is a mentorship program established to provide high school students exposure to the integrated construction industry and scholarship opportunities to further the students’ educational endeavors. Mr. Linkhorst was selected as a Finalist by the Daily Business Review as a 2013 Most Effective Lawyer in the categories of Arbitration, Mediation, and Products Liability. The selection was based on his representation of a condominium association located in Boynton Beach, which obtained a $24 million settlement related to defective Chinese drywall. Chief Justice and Chief Prosecutor of the Nova Honor Court.